With its unique ability to see under the skin, VivoSight opens new frontiers in skin cancer detection and surgical guidance. VivoSight is an innovative medical scanner developed to aid clinicians in detecting non-melanoma skin cancers (NMSC). 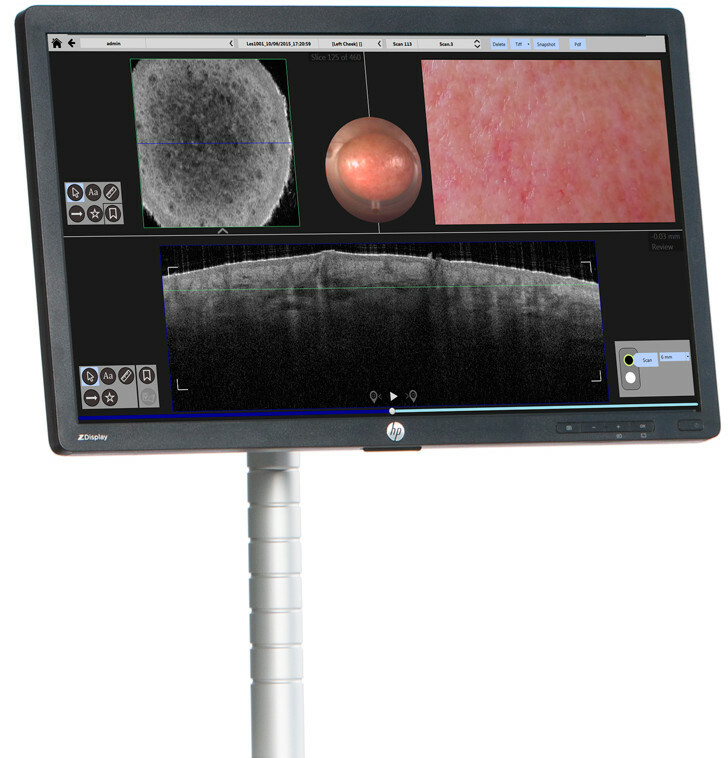 By offering an unparalleled field of view and depth of penetration, VivoSight scans provide the user with crisp, real-time, high-definition images of the sub-surface of the skin that are easy to interpret and report. 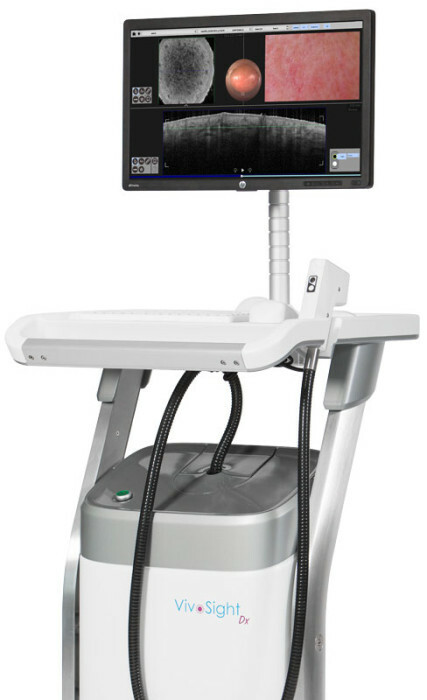 A VivoSight scan is quick, safe, non-invasive and painless – often removing the need for an invasive biopsy. It is also used to guide both Mohs and Laser surgery. 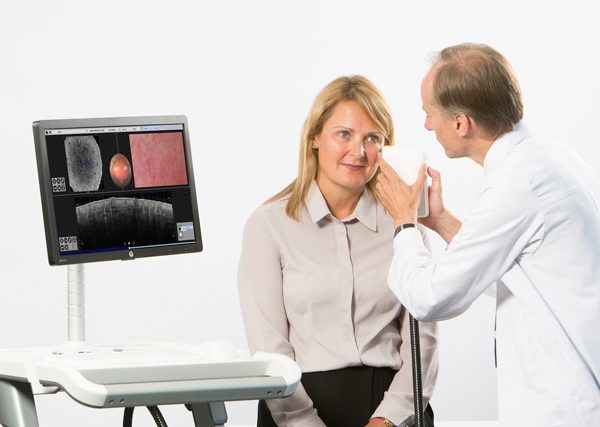 Clinically proven and easy to use, VivoSight images provide powerful information on disease status and also precisely guide Mohs and Laser Surgery. 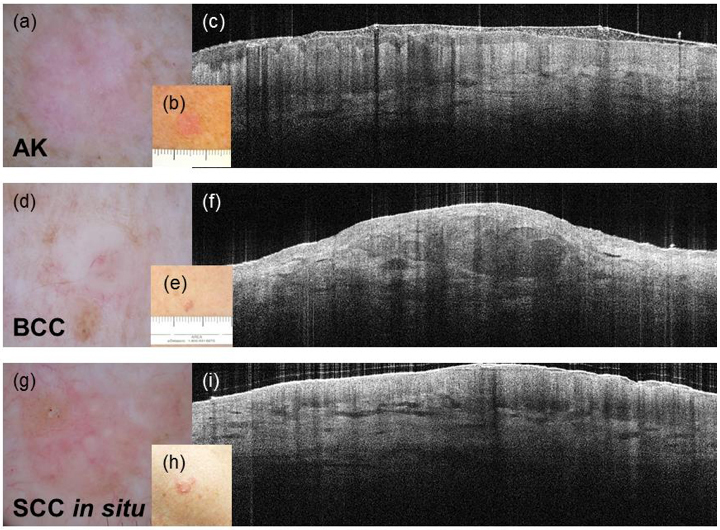 A real-time, non-invasive, high resolution “histological-view” of the skin. With Mohs and laser surgery, this cross-sectional view can be used to precisely guide surgery. OCT “bird’s eye view” of the skin surface – simply drag a slider to explore down through the skin layers. Indicated for use in the two-dimensional, cross-sectional, real-time imaging of external tissues of the human body, to aid trained and competent clinicians in their assessment of a patient’s clinical conditions. VivoSight is designed with the patient in mind. A quick and painless scan of suspicious lesions provides dermatologists with actionable information to make a more accurate diagnosis. Clinical research has shown the ability for VivoSight to identify skin cancer at an early, more treatable stage. VivoSight is used for non-melanoma skin cancer (NMSC) diagnosis, treatment selection and treatment monitoring. Because the scan images are accurate and immediately available, the need for a biopsy is often eliminated. 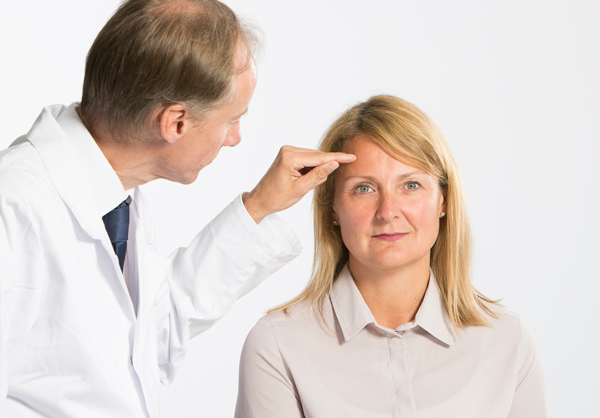 For patients, this means reducing unnecessary scarring and removing the worrisome wait for results. The speed of image acquisition means that multiple lesions can be assessed quickly in areas of the skin where multiple biopsies would not be feasible. Basal cell carcinoma, actinic keratosis (AK) and squamous cell carcinoma (SCC) – Kurzen, Prof. (2015). Hautsache Richtig Lesen. Der Privatarzt – Dermatologie, 5(2), 8-10. VivoSight gives dermatologists the opportunity to make better-informed treatment choices and monitor the effectiveness of therapy over time. Identifying lesions suitable for topical drug therapy and monitoring its effectiveness, for example, is standard practice for many users. 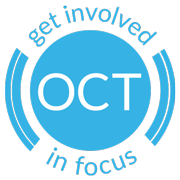 Using VivoSight for pre- and peri-operative assessment of tumour margins can help to optimise tumour excision and reduce post-operative scarring.